Customize your very own Cupcake Tower. Highly durable MDF, warp free. Perfect for weddings, special events and parties. Use year after year, an investment in your dessert table. 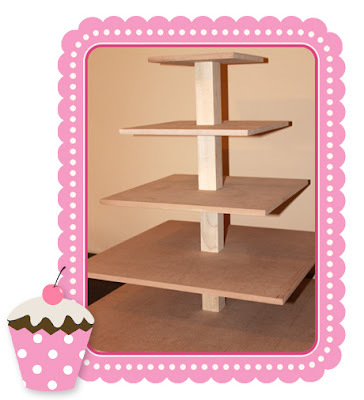 3,4,5 Tiers... customize your tower today at Party Box Design! Very cool Jessica! I will definitely be keeping them in mind for the next party here.